24 Apr 1663 Claimed for France. Île Royale (see Cape Breton Island). 20 Jul 1745 - Sep 1748 British occupation (renamed New Ireland). 17 Aug 1758 British occupation. 10 Feb 1763 Ceded to Britain, administered by Nova Scotia (from 7 Oct 1763). 28 Jun 1769 Separate colony (St. John's Island). 1 Feb 1799 Renamed Prince Edward Island. 24 Apr 1851 Responsible government granted. 1 Jul 1873 Province of Canada. 24 Jul 1534 St. Lawrence basin claimed for France (New France). 9 Aug 1629 - 13 Jul 1632 Quebec city occupied by English. 18 May 1642 Montreal a separate French colony. 13 Sep 1759 Quebec City occupied by U.K.
8 Sep 1760 Montreal occupied by U.K.; end of French rule. 10 Feb 1763 Officially ceded to U.K. (Quebec). 10 Aug 1764 Quebec, Montreal and Trois-Rivières (Three Rivers) unified. including Ontario and Rupert's Land. 5 Dec 1775 - 6 May 1776). 26 Dec 1791 Divided into Lower Canada (Quebec) and Upper Canada (Ontario). 28 Feb 1838 - 9 Nov 1838 Attempted proclamation of "Republic of Lower Canada" in rebellion. 5 Feb 1841 Canada East, part of Province of Canada. 11 Mar 1848 Responsible government granted to Province of Canada. 1 Jul 1867 Quebec (province of Canada). 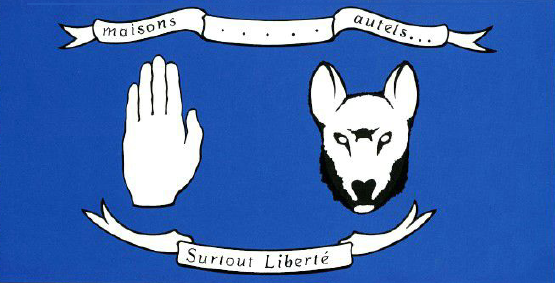 15 May 1912 Ungava district incorporated into Quebec. decision remains contested by Quebec. 20 May 1980 Independence referendum fails 60% No to 40% Yes. 30 Oct 1995 Independence referendum fails 50.6% No to 49.4% Yes. 18 May 1642 Montreal founded, separate part of New France. 22 Sep 1760 British occupation. 10 Aug 1764 Incorporated into Quebec. 13 Nov 1775 - 15 Jun 1776 American occupation. 3 Jul 1608 French found Quebèc City. 22 Jul 1629 - 4 Mar 1632 English occupation. 13 Sep 1759 British occupation. to capture the upper part of the city. Jul 1634 French settlement of Trois-Rivièrs, separate part of New France. 8 May 1882 Saskatchewan provisional district within Northwest Territories. (Riel surrenders on 15 May 1885, remainder surrender 20 May 1885). districts) of the Northwest Territories. post in the area, Fort Frances. 2 May 1870 Part of the North-West Territories. 2 Oct 1895 Yukon provisional district within the Northwest Territories. 16 Aug 1897 Yukon district within Northwest Territories. 13 Jun 1898 Separate territory (Yukon Territory). 1 Apr 2003 Renamed Yukon.